There’s a lot to admire during the Warrior Games. And each participating military member has a story to tell. For Air Force Staff Sgt. Lara Ishikawa, participating in the games is something she never thought she’d do. Staff Sgt. Lara Ishikawa, a cancer survivor, runs laps at the U.S. Air Force Academy indoor track during the Warrior Games training camp held in Colorado Springs, Colo., April 18, 2013. Ishikawa is stationed at Joint Base San Antonio-Lackland. (Air Force photo by Desiree N. Palacios). Ishikawa found herself part of a trio of female Air Force Warrior Games athletes along with Tech. Sgt. Monica Figueroa and Master Sgt. Sherry Nel. The three women are all cancer survivors and relied on each other during the team’s selection camp at the Air Force Academy, Colorado Springs, Colo.
Then a diagnostic imaging technologist at Aviano Air Base, Italy, Ishikawa first felt a lump in her breast in December 2009, but her invasive mammary carcinoma wasn’t diagnosed until the following April. At first, she didn’t want to compete in the Warrior Games because she didn’t have a combat-related injury. However, conversations with Figueroa and Nel — along with other wounded warriors — changed her mind. After multiple surgeries, a double mastectomy and reconstruction, Ishikawa’s cancer is now in remission. “I feel more energetic today than I have in the past three years,” she said. But it wasn’t only her energy that gave her enough courage to participate in the Warrior Games. According to the press release, she hopes to continue on with her 10-year Air Force career, but if she’s not able to remain on duty, she said she’ll adjust. “If I’m healthy, I’m happy,” she said. 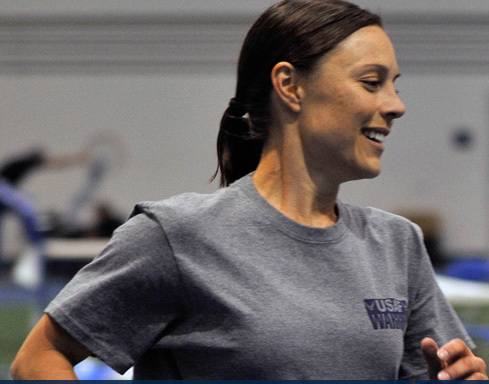 To learn more about the participants, check out the 2013 Warrior Games bios.